My small comfort this week is literally…small. When I am surprised by the design of something so tiny, I feel comforted. 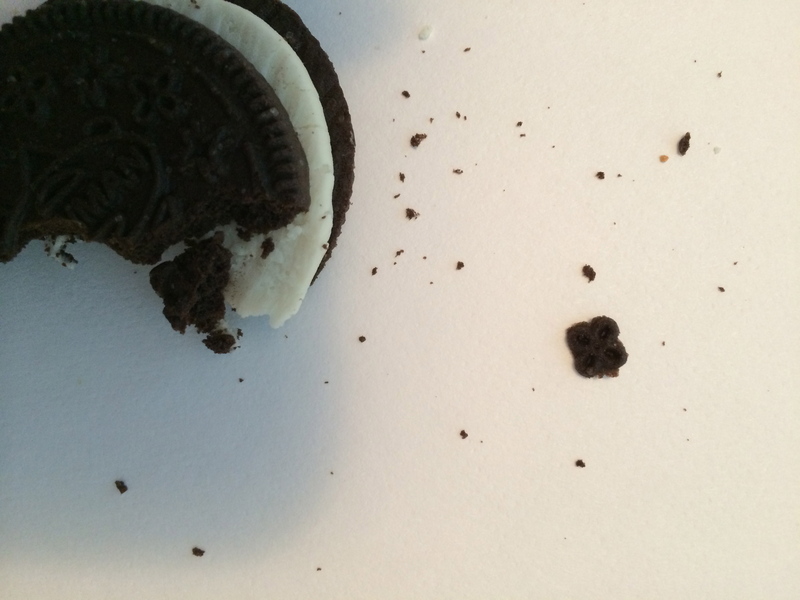 When this tiny flower broke off of a Newman’s Own cookie I was eating about a year ago, I marveled at it. 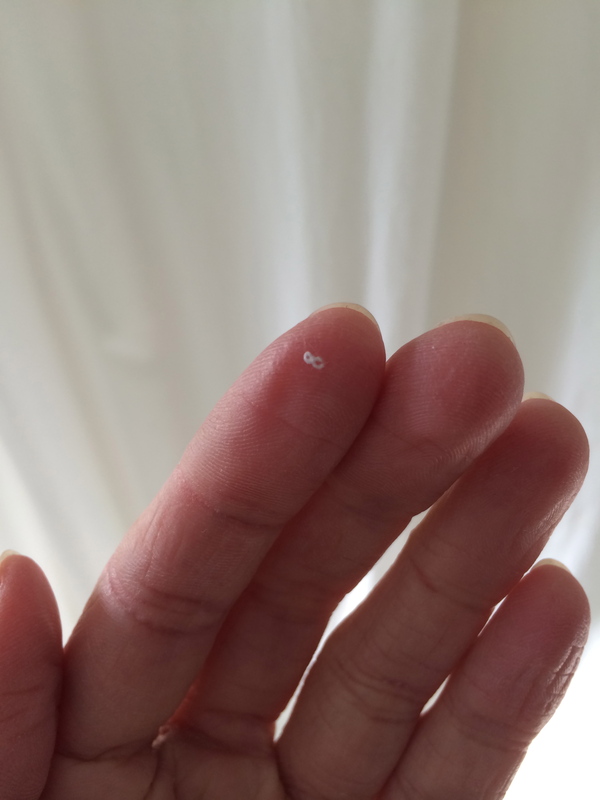 When I found a minuscule thread in the shape of the infinity symbol on my shirt sleeve, I felt strangely uplifted. Audrey often searches out the tiniest flowers she can find growing on their own in the grass. Together we admire how each one has its own intricate design of painted purple streaks. We too are small, yet intricately designed and admired. I find solace in small comforts, too. 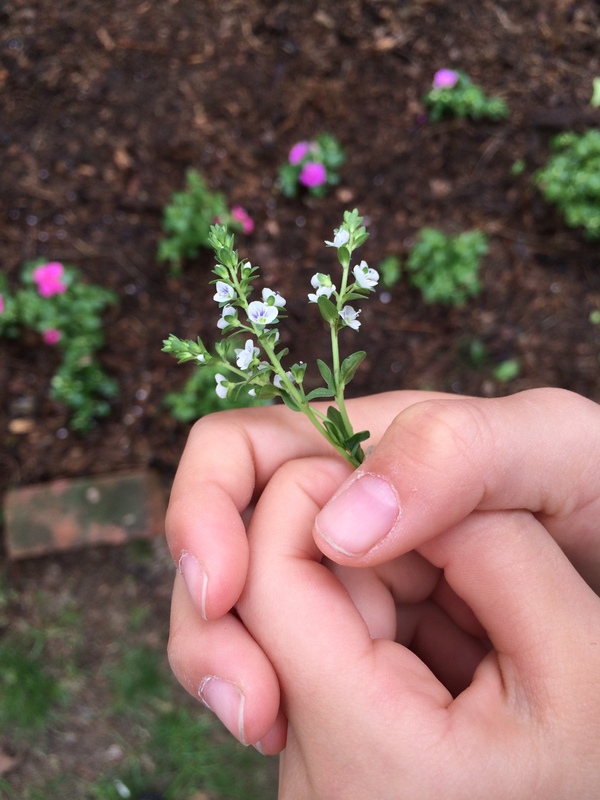 My children love collecting small flowers, tiny shells, perhaps because there is something so beautiful about things so miniature. My mom had a collection of miniatures and I used to love looking at it as a child, and now as an adult. That infinity thread is a wonderful sign.